We need to gauge the exact depth of the water. The teacher was asked to gauge how well her students were likely to do in the test. Sonya tried to gauge Ben's reaction to the news from his facial expression. 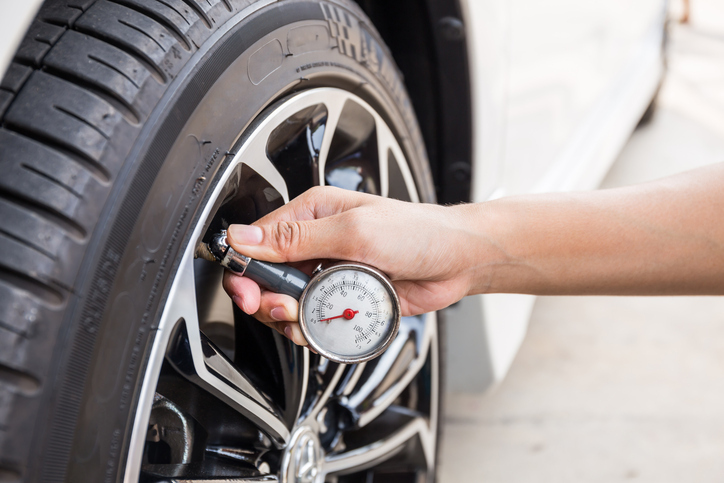 Peter used a gauge to check his car's tire pressure. The polls are a gauge of the way people are likely to vote. This shotgun is a twelve gauge. In building, gauge is the thickness of objects, usually thin objects, such as sheet metal or wire. As a verb, it means ‘to prepare or mix with a definite proportion of plaster and mortar’ or ‘to chip bricks or stones to a uniform size.’ Gauge is also used in plumbing, as the measurement of the inner diameter of pipes (tubes are measured by outer diameter). You might come across the alternate spelling, gage, which is sometimes used in the US, but only for the technical meanings. In many cases, as a verb, gauge and measure are interchangeable. However, originally a gauge was a fixed measurement for something and, by extension, an instrument that allowed someone to measure this precise quantity. Gauge dates back to the early 15th century. It originally meant ‘to determine exact measurements,’ and came (via de Anglo-French gauge) from the Old North French gauger (to measure, calibrate or standardize). Gauger came from the Old French verb jaugier, which came from the Old French noun gauge (gauging rod). The origin before that is uncertain, but probably from a Germanic source. It is related to the Frankish galgo (rod or pole for measuring), the Old Norse gelgja (pole or perch), and the Old High German galgo (pole). It is also probably related to the English word gallows. The noun, meaning fixed standard of measurement,’ comes from the verb, and dates back to the early 15th century. The meaning ‘instrument for measuring’ is from the mid-17th century.